In SQL Server Integration Services 2008 and previous versions once the variable was created with Scope , it was not possible to change the scope of that variable without deleting and recreating in correct scope. In SSIS 2012 and latest versions, we can create variables without worrying about scope and then can move them to required scope any time without deleting and recreating. SSIS 2008, there is no option available to move or change the scope of variable. 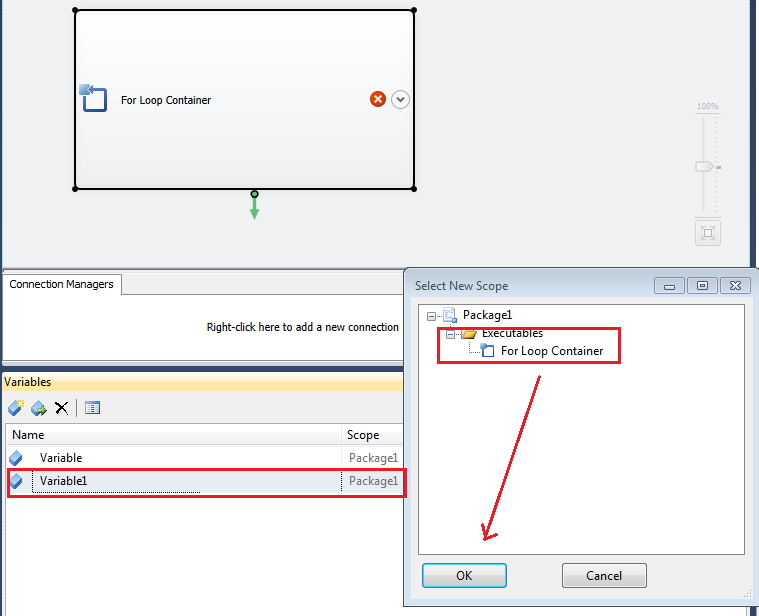 In below snapshot we can see that the both variables were created on package level and then by using Move Variable Option we changed the scope for Variable1 from Package to For Loop Container.